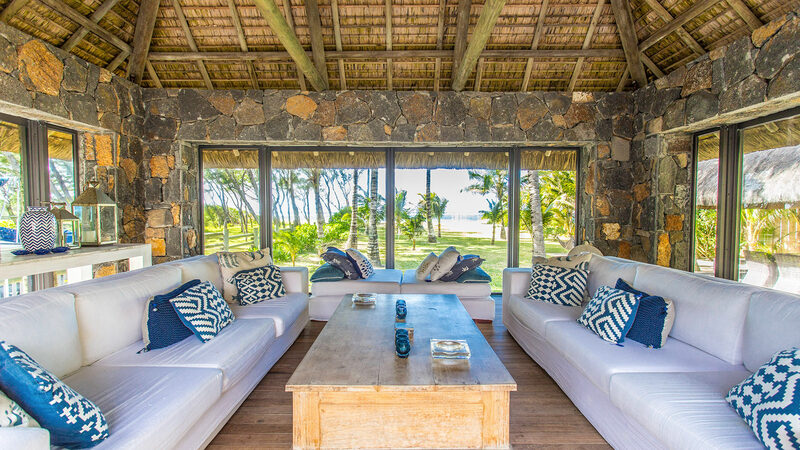 Villa Tourmaline is a four-bedroom beachfront villa located near Mécusson Point in Trou d’Eau Douce on the East coast of Mauritius. 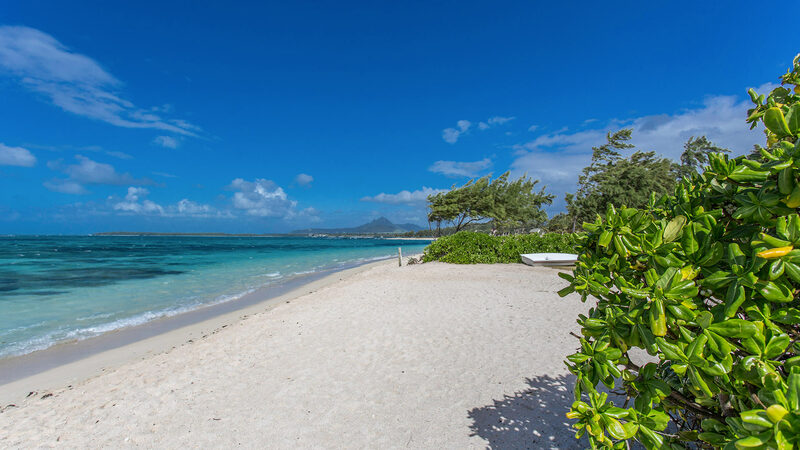 The villa offers direct access to a beautiful white sand beach lapped by crystal clear water. 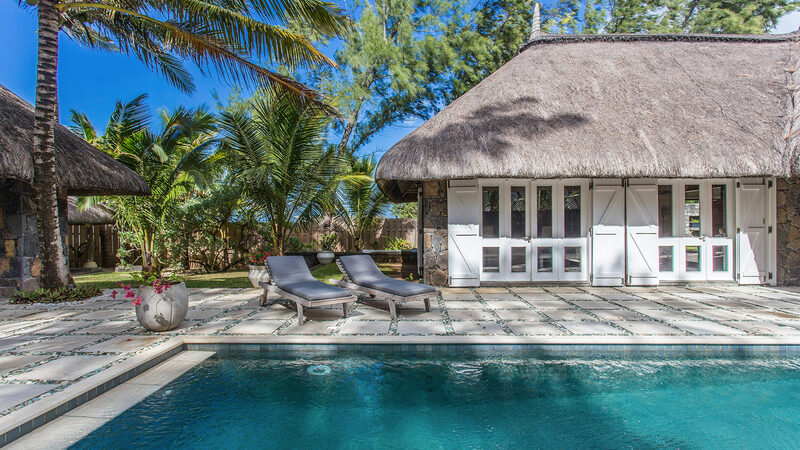 Facing Île aux Cerfs, Villa Tourmaline is ideally located for excursions and other sea trips. 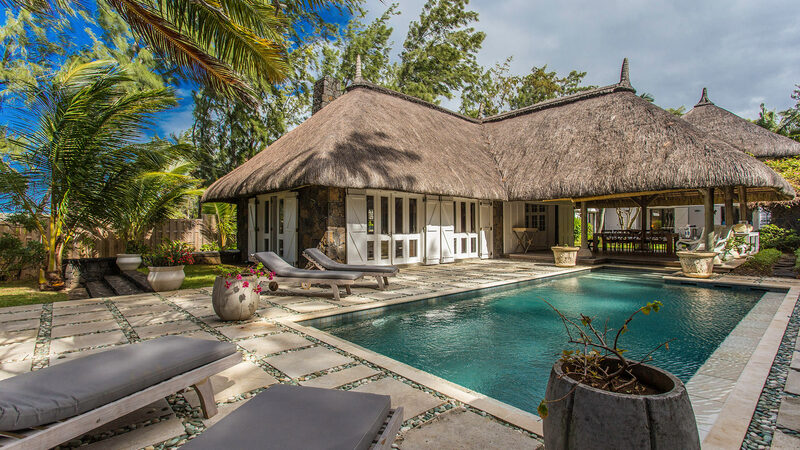 Villa Tourmaline is a charming thatched villa offering a perfect harmony with the outside surroundings. The villa is set in lush shady gardens covered with palm trees and casuarinas. Fold-back windows and patio doors, large openings and courtyards allow for casual transition from the inside to the outside. Kitesurf fans, large families and groups of friends will find it most delightful and comfortable. The villa swimming pool looks out onto the lagoon and most lounge areas and dining areas offer panoramic views of the sea. With the added benefit of the two bedroom fully equipped guest bungalow (available on request), this is truly the perfect spot for an unforgettable vacation. Bedroom 1 and 2 are connecting bedrooms sharing the same terrace. 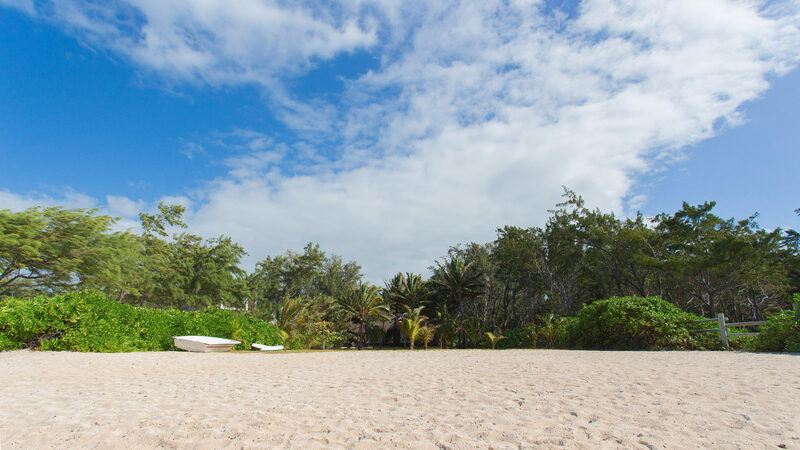 ​The staff of four will look after your needs and let you experience a real taste of the Mauritian way of life. Lalita, the maid and cook is here from 08:00 to 13:00. Mira, maid and cook is here from 09:00 to 14:00. Devi does the ironing and babysitting. Hours: 14:00 to 19:00. 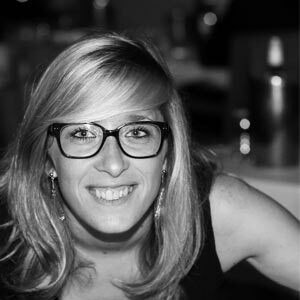 Sandiren is the gardener and will be with you from 06:00 to 14:00 6 days per week. A guardian is also available on request at a daily price and can ensure the dinner and the closure of the house in the evening service. Hours: 19:00 to 23:30. 2 Stand up paddles has been added for your convenience.